Businesses are always looking to get a jump on their competition and make the most of their assets. That’s a real challenge in this day and age, in which change is rapid and new, connected competitors can disrupt entire industries. That’s why digital transformation has become an important trend. By adopting connected technologies, businesses can more easily respond to customer needs, market forces, and new competitors. One way they’re doing that is through the adoption of new business communications and collaboration solutions. And cloud-based solutions on this front can allow businesses to enjoy the latest and greatest capabilities without significant upfront costs or new IT staff requirements. Because Unified Communications (News - Alert) as a Service puts the responsibility of infrastructure investment and business communications system management in the hands of the UCaaS provider rather than the business customer. In the process it can lessen the hassle, and even the costs, for business customers like menswear company John Varvatos. Indeed, John Varvatos is using a cloud-based IT solution to support international calling and meetings between its main office in New York City, its flagship store in London, and its Milan showroom. 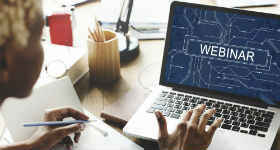 And at the upcoming webinar “Deploying UCaaS to Achieve Operational Efficiencies and Outstanding User Experiences,” the company’s Manager of Technical Services Carlos Rivera will tell the company’s story. He’ll be joined by Elka Popova, vice president and senior fellow of digital transformation at Frost & Sullivan (News - Alert), and moderator Erik Linask of media company Technology Marketing Corp. Together, they will address UCaaS market drivers and trends; the UCaaS value proposition; and tips for UCaaS success, including how to select a provider. This RingCentral (News - Alert)-sponsored online event is scheduled for Thursday, Aug. 30 at 11 a.m. pacific/1 p.m. eastern. To get more information, and to register, click here.